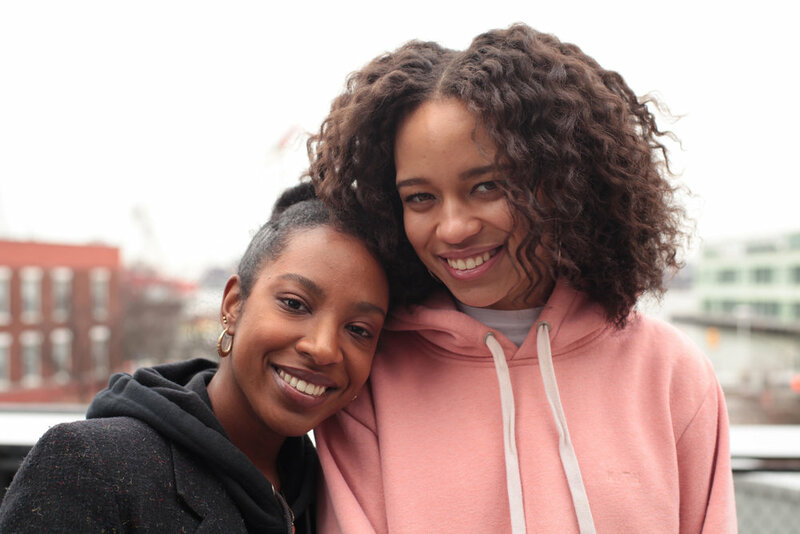 Brittany Edwards and Khiana Lowe, the trailblazers behind Incorp[HER]ated, an organization with diversity and inclusion at the forefront of their mission are innovatively fostering community amongst women and young girls. Bridging the gap and creating allyship with their male counterparts, Incorp[HER]ated is successfully providing access, opportunity, and support for women in male-dominated industries. In honor of Women’s History Month, we spoke with the two co-founders about their journey and the impact they’re making. Asia: For the uninitiated, can you take us through what Incorp[HER]ated is? Brittany: On a very macro-level we developed Incorp[HER]ated to be an organization focused on diversity and inclusion, and what we operate under is to be a supportive resource and group for women in male-dominated industries. We’ve focused on sneakers so far, but also branch out into design, technology, and music. Another key component of what we do is making sure to involve youth engagement opportunities into our programming, as well as including boys and men to illustrate the importance of allyship and what that looks like for them. A: Both of you come from STEM backgrounds, Khiana you have a degree in civil engineering and Brittany you in electrical engineering, how has that inspired the work you do at Incorp[HER]ated? Khiana: Both Britt and I have been interested in STEM fields for a really long time, so you’re kind of always made aware that you are one of the few, especially being a person of color and a woman. As we got older we started to question why that was and what factors contributed to women and people of color not having that same representation and access in industries like STEM, but also sneakers. So our backgrounds definitely inspire the work we do at Incorp[HER]ated. A: Speaking of sneakers, let’s talk about your event Straight to Feet. What particularly drew you to want to tackle the conversation of sneaker culture as it pertained to women? K: Growing up in New York, sneaker culture was such a huge part of style. With that, I personally wanted to explore something I loved, but I don’t think it was until I worked at Kith that I gained the experience that made me think critically about what was going on in the sneaker industry. And at that same time, Britt was working at Complex, also helping out with a couple of projects on the side related to sneaker culture, so from there we just started brainstorming different ideas of how we could bring attention to women in the sneaker industry as well as strengthen the pipeline of students who understand the opportunities available to them. 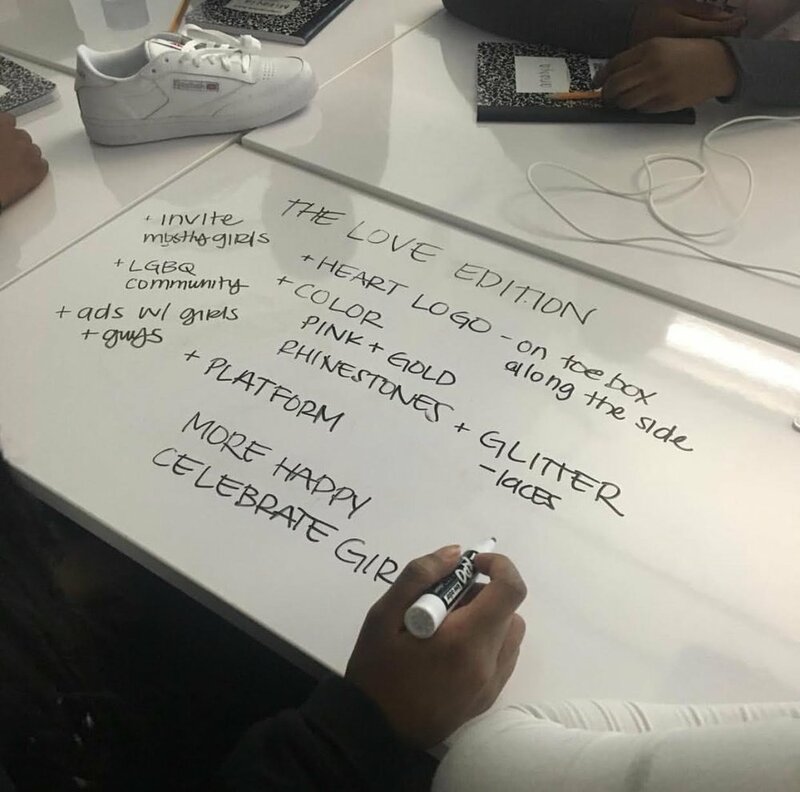 A: There was also a workshop portion where girls got the chance to explore their design ideas. How important is it for you to create those sorts of opportunities for young girls? B: Very important! With the youth component, it was basically, us thinking about what our paths may have looked like if those passion related ideas came about when we were younger. If we had the access and understanding of what we could do then, who’s to say where that might have led. A: With Incorp[HER]ated fostering community around conversations surrounding these male-dominanted industries, what do you think the key is to getting those conversations to provoke tangible change? B: One of the initiatives we do to make it more than just conversation is connecting with men in industries like sneaker or tech and lending our voices, our network, and our access to what they’re doing. It’s about making those conscious connections as we do with women’s groups and women’s organizations, but also with men’s groups and men’s organizations. K: I completely agree. Over the last two years, we’ve developed a great network of women, but also of men. And what’s productive about our events is that the conversations don’t just circulate around what the issues are, but what you can do to change them. A: What’s been the biggest reward thus far since starting Incorp[HER]ated? B: There are a few, but last year at our Straight to Feet workshop we had a little girl who sketched designs in a notebook we gave her. After the session, she came up to me and said “look what I drew... I want to be a designer when I grow up, I love this!” It touched me to see how impactful the workshop was for her and felt really good to provide that opportunity, where she was able to explore passions she might not have known she had. K: For me, with our last Straight to Feet workshop, a couple of the parents sent us emails about how their daughters came home and could not stop talking about their experience and how much they loved it. And when you think about that, you realize the importance of creating and making sure opportunities like that exist. A: So, what can we expect from Incorp[HER]ated this year? B: For 2019 we’re really focused on doing more youth engagement opportunities and catered things toward that. K: Yeah, we also plan to be on the more consulting end for brands, so stay tuned!